Freemasonry Watch, or its anonymous author, claims to have proven that Freemasonry worships Lucifer. His collection of quotes though, are taken from non-masons and authors who do not represent Freemasonry. Masonic writings fall into three catagories: the writings of authors who are not freemasons, the writings of authors who are freemasons, and finally, the rules, regulations and edicts as published by recognized Grand Lodges combined with the rituals as worked by recognized lodges. Only the last have any authority and only within the jurisdiction of the individual Grand Lodge. Freemasonry Watchs collection of quotes are not representative of any masonic authority. The following excerpts on the left are taken from his website. The facts are noted on the right. The author of Freemasonry Watch, hiding behind anonymous remailers and an aliased domain name, in 2001 began misquoting and taking out of context phrases from this and other pages on the Grand Lodge of BC and Yukon website in a mendacious and slanderous attempt to demonstrate that this website confirms his hateful accusations. We do not know whether Mr. Taxil made a speech where he "confessed" to concocting a fictious statement about Lucifer attributed to Albert Pike or not. The Masons claim he made such a "confession" and use this as "proof" that any writings about Lucifer by high degree Freemasons are also fraudulent. In fact it is obvious that Freemasonrys claim for Mr. Taxil making this confession are on as much solid or shakey ground as this particular attribution to Pike about Lucifer is. Most major European publications published reports of Taxils confession in the summer of 1897. Abel Clarin de la Rive, one of Taxils strongest supporter, repudiated everything Taxil wrote in the April 1897 issue of Freemasonry Disclosed. This included anything purporting to issue from Taxils literary creations, Dr. Bataille and Diana Vaughan. The official publication of the Roman Catholic Archdiocese of Vancouver, the B.C. Catholic, published a retraction and apology for reprinting Leo Taxils lie in their June 19, 2000 issue. "We saw indeed some Masonic journals, such as La Renaissance Symbolique, swallow a dogmatic circular about luciferian occultism, a circular dated July 14, 1889, written by myself in Paris, and which I disclosed as having been brought from Charleston to Europe by Miss Diana Vaughan on behalf of Albert Pike, its author." He later remarks on "...Miss Vaughans imagined trip of 1889, when she was supposed to have brought the alleged dogmatic Albert Pikes circular letter to Europe...." and describes his difficulty with de la Rive: "Can one believe, for instance, that it was easy to take M. de la Rive for a ride, he, the embodiment of an inquiring mind, who examines the slightest trifles with a microscope and who could beat our best investigating judges? He can boast of having given me trouble!" Abel Claren de la Rives repudiation of Taxil in the April 1897 issue of Freemasonry Revealed did not specifically mention the "Lucifer is God" hoax but did include everything associated with Diana Vaughan. If the preceding notes are not proof positive that Taxil is the source of the letter, they certainly constitute greater proof than anything linking it to Albert Pike. The claim is also made that Taxil was a freemason. Taxil joined the lodge Le Temple de L'Honneur français in Paris in 1881. Records of the lodge show that his true character quickly surfaced, and he was expelled from the lodge before going beyond the first degree. To call him a Freemason is to misrepresent the facts. Of course there is much more to proving the Luciferian nature of Freemasonry than showing that ALL of the most well known Masonic Authors wrote praisingly about Lucifer, as the essence of the teachings of Freemasonry is contained inside Allegorical Symbols. All masonic authors did not write praisingly of Lucifer. No masonic authority has ever written praisingly of Lucifer. It is the combination of the quotations from the published writings of noted Masonic Authors, the interpretations of the Symbols of Freemasonry, and the "other" occult involvements and writings of so many prominent High Level Freemasons which conclusively prove that the Luciferian Nature and Connections of Freemasonry is not some "Hoax" being perpetrated by "Antis". If the author of Freemasonry Watch interprets masonic symbolism as Luciferian, this does not prove that Freemasonry follows or promotes a similar interpretation. 'The Mysteries Of Magic' by Eliphas Levi This is not a title of any book by Éliphas Lévi. Regardless, his major works were published prior to his initiation into Freemasonry. Lévi attended few meetings between his initiation on March 14, 1861, and his quitting/being dropped from the rolls seven months later. His biographer, Paul Chacornac, notes that when Lévis theories of Freemasonry, all formed before his initiation, were not widely accepted or believed, Lévi had nothing further to do with Freemasonry. 'The Book Of Black Magic' by Arthur Edward Waite 33° This is a book about black magic. It is not a book about Freemasonry. There is no record that Bro. Waite held any elective or appointive office. He was not a member of the Scottish Rite and did not receive the 33rd degree. This book was published by George Redway in 1898, several years before Waites initiation in 1902. 'The Secret Teaching Of All Ages' by Manly Palmer Hall 33° The quote given is taken out of context. Although Bro. Hall did receive the 33rd degree, he is not a masonic leader, nor has he had any influence on, or authority over Freemasonry. 'The Lost Keys Of Freemasonry' by Manly Palmer Hall 33° Published in 1923, the preface states "At the time I wrote this slender volume, I had just passed my twenty-first birthday, and my only contact with Freemasonry was through a few books commonly available to the public." Hall, the founder of The Philosophical Research Society in Los Angeles, did not become a freemason until 1954. Although he received an honorary 33rd degree, this conferred no authority. Although a Certificate of Adoption was issued to her by John Yarker in the name of the Antient and Primitive Rite, Yarker wrote in The Kneph that this Certificate was not the result of any initiation and Madame Blavatsky flatly denied ever being initiated into Craft Freemasonry or any other masonic rites. In Isis Unveiled she wrote an entire chapter attacking regular Freemasonry. Illustrious Albert Pike 33° Sovereign Grand Commander Supreme Council 33° In the 861 page book Morals and Dogma, Albert Pike makes a total of four references to Lucifer [pp. 73, 102, 321, 324]. In each he uses the word lucifer in the popular usage as a synonym for Satan; on page 321 he points out the paradox of the Latin root meaning of the word as the bringer of light. Although we may disagree with his personal beliefs, he is clearly not exalting Satan. In context he also makes it very clear that his book is a treatise on comparative religion and is not a book of masonic instruction. Albert Pikes Morals and Dogma was last published in 1966. It, and its author, are relatively unknown outside North America. He never exercised any authority or influence over anything other than what was a very small subset of North American Freemasonry, the Scottish Rite, Southern Jurisdiction. 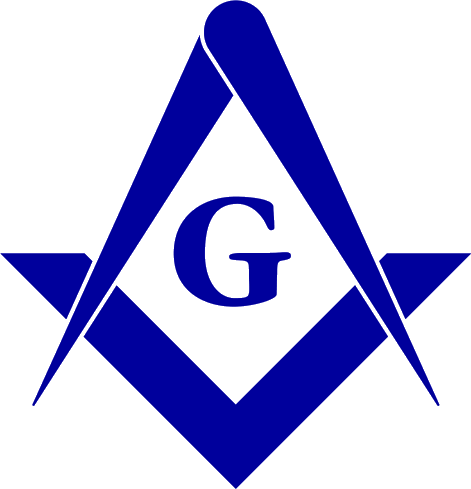 Freemasonry is not a religion, nor has it ever claimed the perogatives of religion,1 yet Freemasonrys detractors continue to believe that, since Freemasonry doesn't define God, it cannot be their God. Freemasonry believes that men of all faiths can dwell together in peace. Freemasonry requires its members to believe in God but will not dictate those beliefs except insofar as they coincide with the teachings of Freemasonry. The teachings of Freemasonry are built on the virtues of Faith, Hope and Charity, Brotherly Love, Relief and Truth.